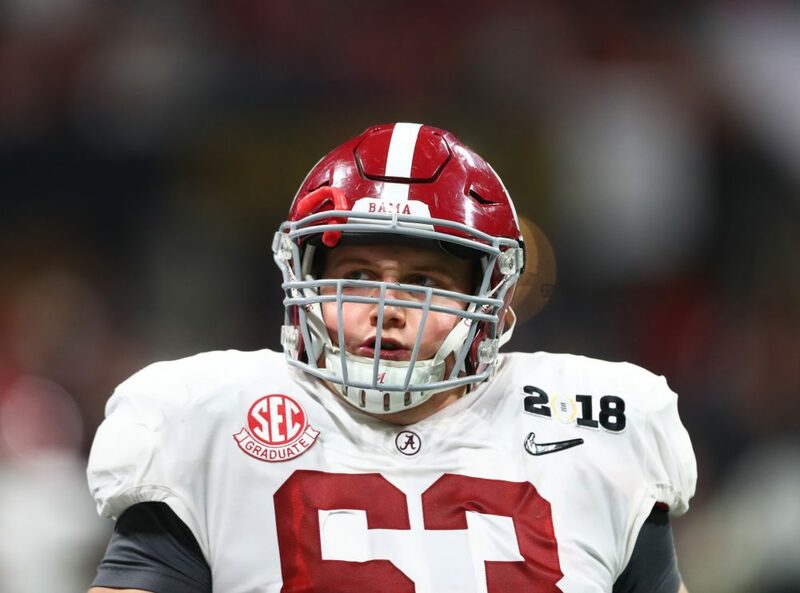 Former college offensive lineman J.C. Hassenauer didn’t get much of a chance to start at the University of Alabama. Sure, he was considered a valuable depth player who could provide a quality spot start here and there, but Hassenauer’s talent meant he was capable of so much more. So far, he’s been able to prove that in the Alliance of American Football league. According to Pro Football Focus, the 6-foot-3, 305-pound center has graded out as the Birmingham Iron’s top offensive player through seven weeks of the season. His run blocking grade sits at a respectable 69.8, but it’s been his pass protection (81.6 grade) that’s been the most impressive. In fact, that success has been a major reason for his 75.0 overall grade. After seeing some time with the Atlanta Falcons as an undrafted free agent back before the 2018 season, Hassenauer could be lining things up for another shot in the NFL. He’s certainly got the talent for it. Another thing you may notice from PFF’s tweet is who sits second on the list. That’d be former Alabama tight end Brandon Greene, who’s since converted permanently to the offensive line for the Iron. At 6-5, 289 pounds, Greene is still a little light to hold up at left tackle in the NFL. But if he can continue to transition and get that weight up in the process, he has a shot at a roster spot on the next level. Either way, today’s game against the Atlanta Legends will prove to be another opportunity to build on each player’s respective resume. Stay tuned for that at 3:00 p.m. CT.
Clint Lamb is a college football analyst for Touchdown Alabama Magazine. You can “follow” him on Twitter @ClintRLamb.